Yesterday, Steve stepped up to the tee and dispensed his hands-on impressions of The Golf Club. 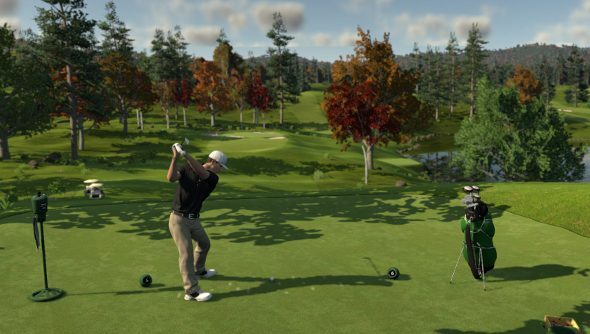 If it sounded like something you’d like to hit a few balls on, then you’re in luck, since The Golf Club, with its impressive course creator, launched today. £26.99/$34.99 is what you’ll need to throw Steam’s way if you want to launch tiny balls across impossible mountains or into groups of unsuspecting deer. The main draw is undoubtedly the infinite amount of courses. The game can generate new, random courses for virtual golfers to muck around in, and there’s an editor if you want to get more involved. Want to slap a giant great mesa in the middle of the course? Go for it. Golf is an eldrich sport filled with ancient rituals like blood summoning and animal sacrifice, and that can make it a bit complicated. 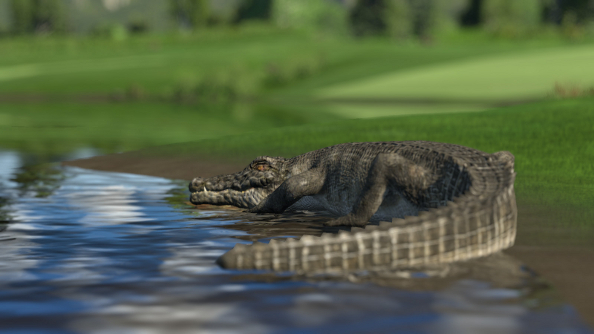 Conveniently, HB Studios has put together a massive number of tutorials for prospective golfers to devour.